Our tallest tree's common name is the Mountain Ash (Swamp Gum), and is called the 'Centurion'. The scientific name is Eucalyptus regnans. The circumference is 12.73 metres, height is 100 metres, and crown is 35 metres. Points 857. 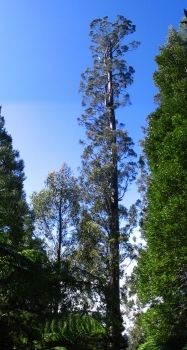 The tree is located near the Tahune Forest Airwalk near Geeveston, Tasmania. How do you measure a tree? The basis of the Tree Register is to assess trees in a holistic way. American Forests have been doing this for 77 years. Need Gift Ideas? 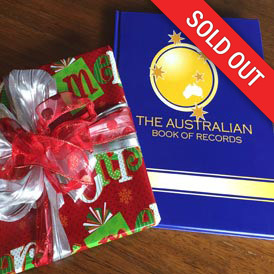 Order The Australian Book Of Records Book, Just In TIme For Xmas!